The second edition of the Versilia Yachting Rendez-vous, one of the most exciting new events in the nautical calendar, is set to kick off in Tuscany next month (May 10-13). 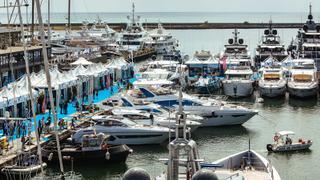 Created in order to highlight the high quality and variety of the Italian contribution to the high-end nautical sector, guests will enjoy four action-packed days, complete with 85 boats to view both in the water and ashore, showcasing the very best in Italian shipbuilding and design. Taking place in an atmospheric open-air factory, more than 170 companies will be exhibiting in 2018. 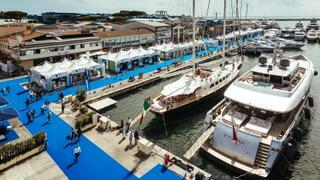 The event, driven by Nautica Italiana, has been organised by Fiera Milano in collaboration with the Distretto Tecnologico per la Nautica e la Portualità Toscana. They have great support from the Tuscan Regional Authorities and the Municipality of Viareggio, all with the purpose of welcoming the entire yachting sector, including national and international associations in the industry. Over in Viareggio, in the Darsena Italia and Darsena Europa docks, visitors will be able to view a huge variety of beautiful vessels with an estimated average length of more than 30 metres. Aside from the array of luxury yachts, more than 30 shipyards will be in attendance, including Baglietto, Codecasa, Ferretti, Fincantieri, Perini Navi, Sanlorenzo, Azimut-Benetti, Novamarine and many more. Additionally, Bertram will be exhibiting, the first American company to participate in the event. As well as builders and brokers, a huge number of designers and makers will also be in attendance. Brands including Volvo, Videoworks, Besenzoni and Furuno, among many others, will be participating in the event. In 2017, the Italian contribution to production in the nautical industry exceeded a value of €2billion, according to market research by Deloitte, and Tuscany has long been the traditional home of high-quality Italian craftsmanship, design and innovative technology. 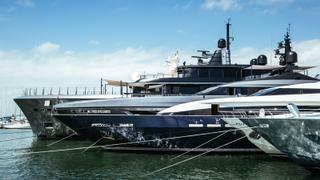 Last year’s event welcomed the likes of Perini Navi 50 metre Exuma, 46 metre Lucky Me from Baglietto, the Ferretti 750, the AB Yachts 29.9 metre AB100, the 32 metre Notika 115 and the 40 metre Benetti Classic Supreme. From 2013-2017 Italian shipbuilders delivered no less that 288 vessels over 30 metres, with Holland splashing 98 units and the United Kingdom 64. Notably, there are more than 1,400 active businesses in in Viareggio, ten of which are shipyards with international brands. Out of about 400 vessels above 50 metres that make up the entire worldwide fleet, about 100 are built by yards located in Viareggio.